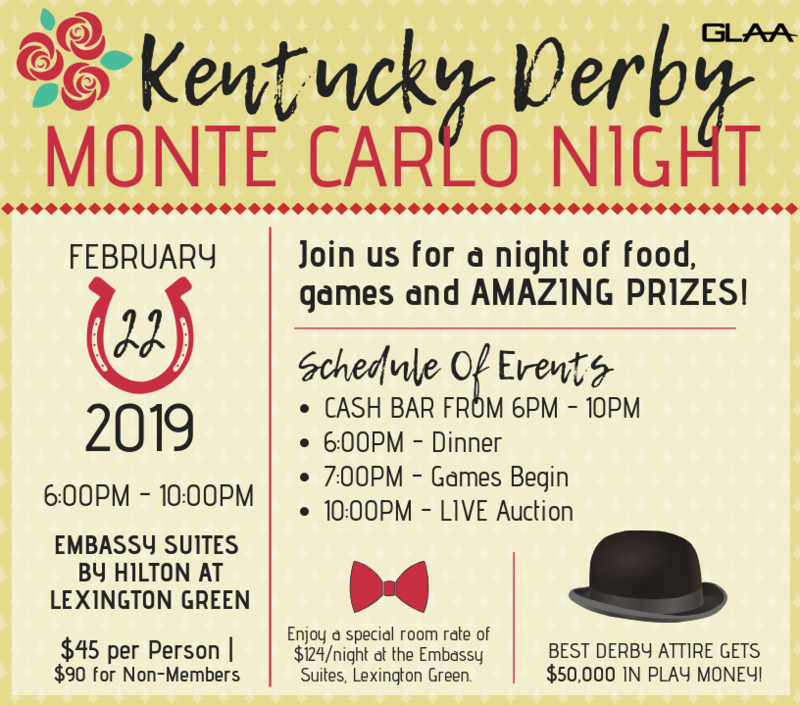 Monte Carlo Night is an event LOVED by all GLAA members! Join us for this night of food, games & AMAZING prizes! WE ARE OFFICIALLY SOLD OUT! | If you have registered, we'll see you at the Embassy Suites at LEXINGTON GREEN!